If you come to Akihabara, you may think to enjoy buying some home electronics or Otaku goods, like anime, manga, retro video games, figures,card games and other collectibles. 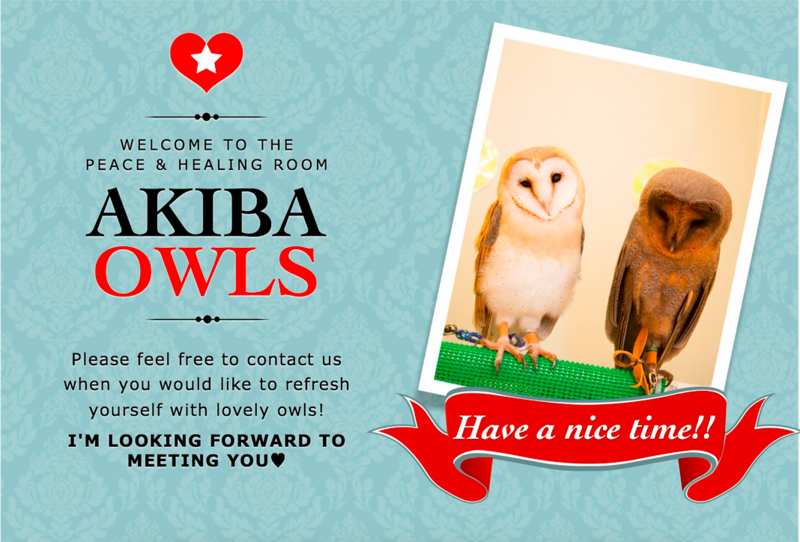 Of course it sounds fun ,but the most attracting place for tourist now is an Akiba Owls. 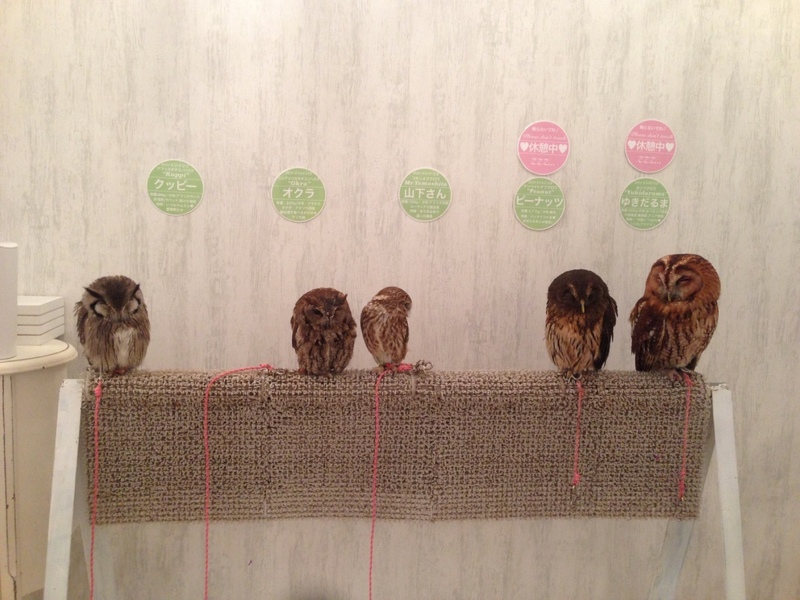 Akiba Fukurou which had opened in August, 2014 is non-everyday paradise surrounded by 22 pretty owls.Planning a visit is easy enough,you can reserve seats by the one-hour slot on-line up to 3 days in advance (definitely recommend to do so, as they are usually sold out soon), which is also available in English. See the link below for further details. The cafe is located near the JR Akihabara Station. It take 3 minutes on foot. 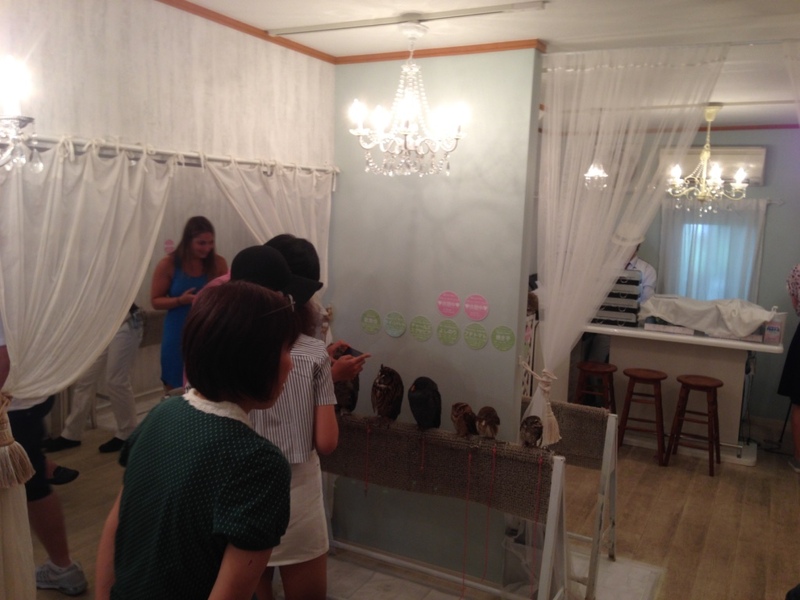 As the introduction book which shows how to handle the owls will be delivered by the staff when entering the cafe, so no worries even if you don't speak Japanese. The book is written in English, Chinese, Korean, and Japanese. Also there seems to be some staff who understands some English. The time for healing starts at the moment when you enter the cafe. 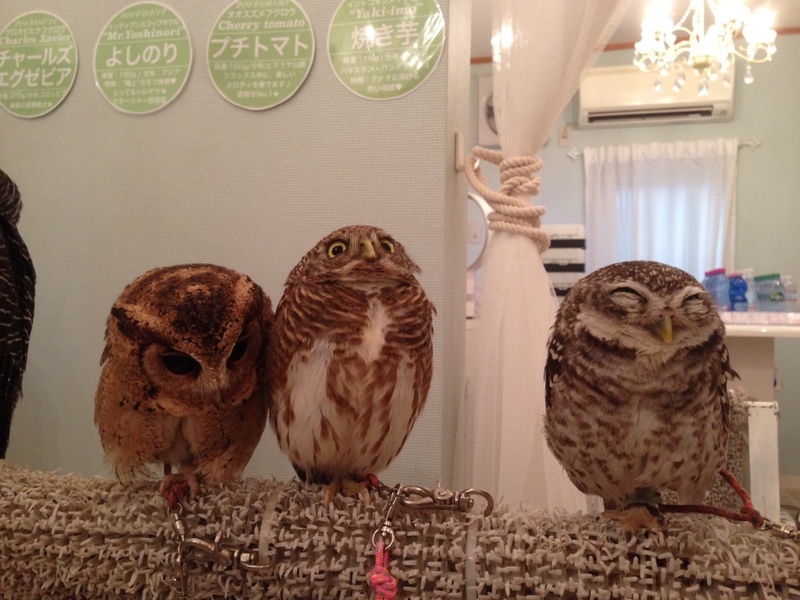 Owls were so lovely and funny.Because they have been brought up carefully by human since baby bird, they are really friendly and quiet. In addition, there are no smells which you might feel in the place like cat cafes because air conditioning and the cleaning are always done properly. 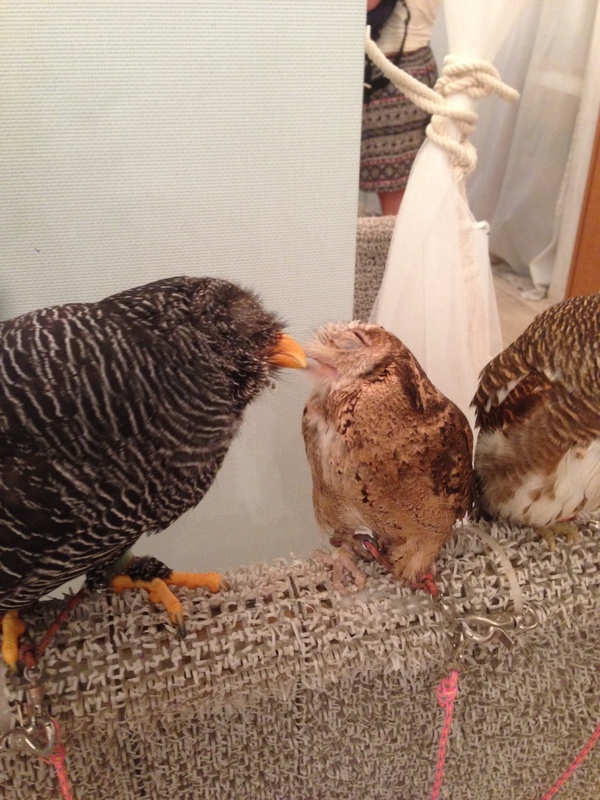 The staff will take a picture of you and these amazing creatures! 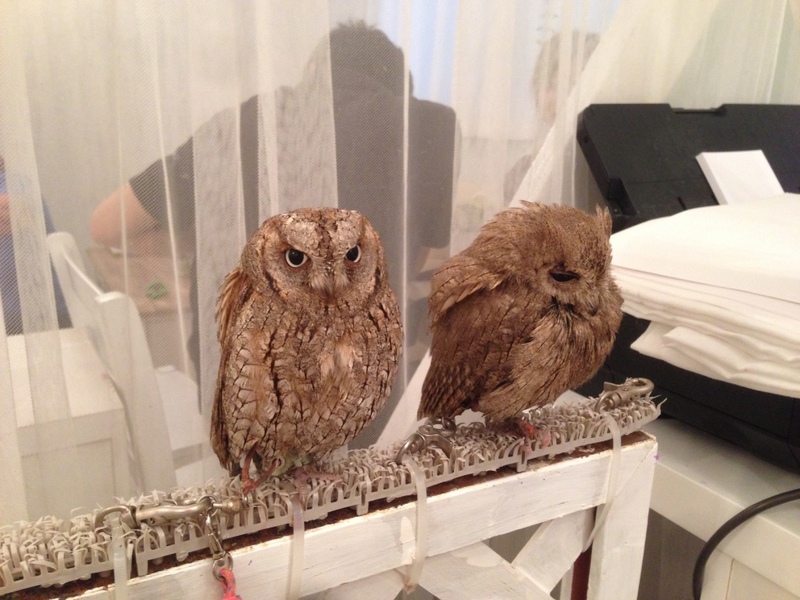 The visit ended with them giving you a laminated photo of you and the owls. The cafe manager said that they are planning to open branches in the future in other areas in Tokyo. 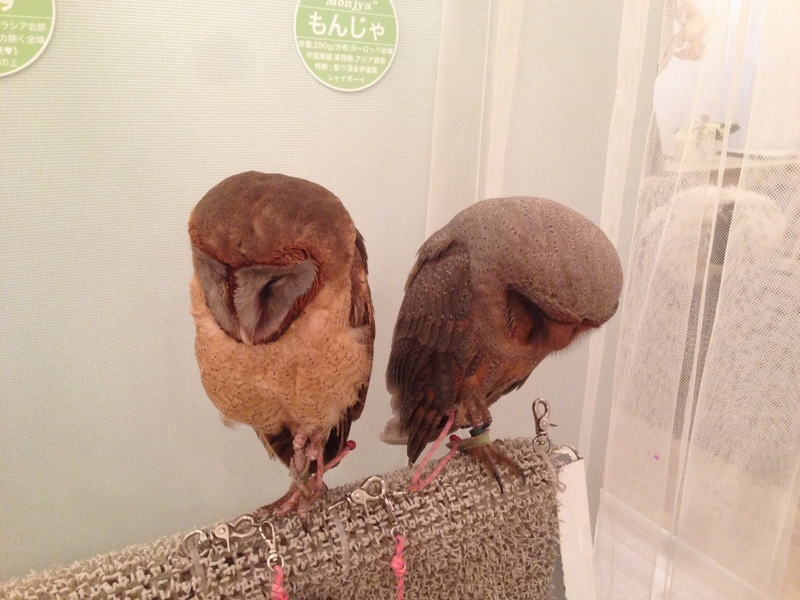 When you are worn out in Tokyo, you should get healed in Akiba owls by all means. It’s definitely worth visit. Enjoy owls!